Crowning the hills of the Black Forest encircling Baden-Baden, the three castles once defended the ruling house of Baden's most prized territory. Today, their ruins offer marvellous views of the breathtaking countryside. The Gothic style gateway of the lower castle takes you to the original Hohenbaden Old Castle, the Oberburg. Hohenbaden Old Castle (Altes Schloss Hohenbaden) is one of the oldest possessions of the margraves of Baden – with origins that go back to the 12th century. The oldest part of the complex, the Oberburg (upper castle) is built on a crest on the southwestern side of the Battert hill. The newer Unterburg (lower castle) was expanded on the orders of Margrave Bernhard I in the late 14th century. The impressive Bernhardsbau, the main building in the castle’s lower bailey (courtyard), bears testimony to the heightened importance of the margraves of Baden. In 1479, however, they moved to the more comfortable Neues Schloss (new palace) in the valley. The old castle fell into disuse, and was left in ruins after a fire in the late 16th century. Interest in Hohenbaden Old Castle was reawakened in the 19th century, when Baden-Baden became a popular spa destination. 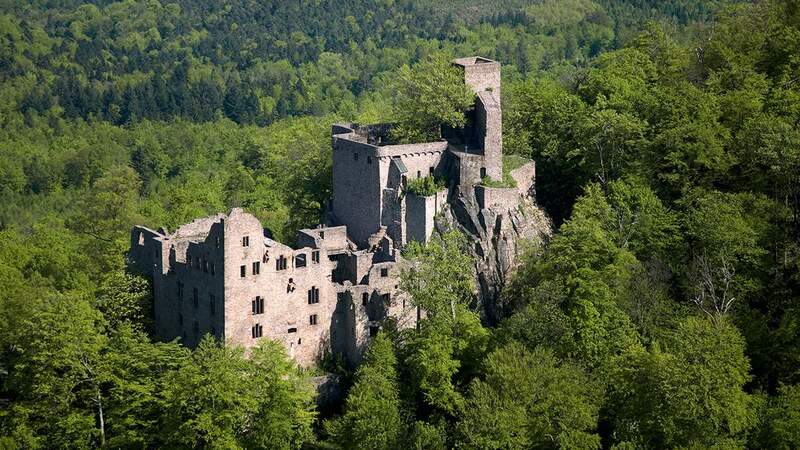 Today, the ruin, with its fabulous view, is one of the most attractive destinations in the northern Black Forest. The immense ruins of Hohenbaden Old Castle still display the grandeur of the former residence of the margraves of Baden.